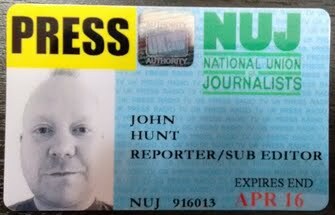 I am a graduate, NCTJ-qualified editor and communications professional with 16+ years of experience. I have an extensive, demonstrable history of creative and conceptual output and am a focused, critical thinker and strategist who is reliable, hard-working and calm under pressure. Disciplines include journalism, copywriting, editing and broadcasting. Specialities include advising executives on communications delivery, PR initiatives, brand image, crisis management, and product launches. My credentials include editing international magazines, conducting global press events, nurturing media relations, international broadcasting, and I am regarded as a reputable writer of executive-level speeches, annual reports, and sector and brand analyses. In terms of journalism, I am a regular contributor to UK-based newspapers The Sun and The Daily Mail, and a host of newspapers, magazines and media outlets in the Middle East and China (including Al Jazeera, QNA (Qatar News Agency), WAM (UAE News Agency), The South China Morning Post and Qatar Happening). I am experienced in developing relationships with top-level governmental figures, businessmen, chairmen, athletes, managers, actors/directors, and other figures of import to conduct interviews and break exclusive stories.